Chodesh Adar Bet Tov Tov!!! Rosh Chodesh Adar Bet is coming, it's the Pisces/Pisces New Moon and we're about to become ALIGNED again! 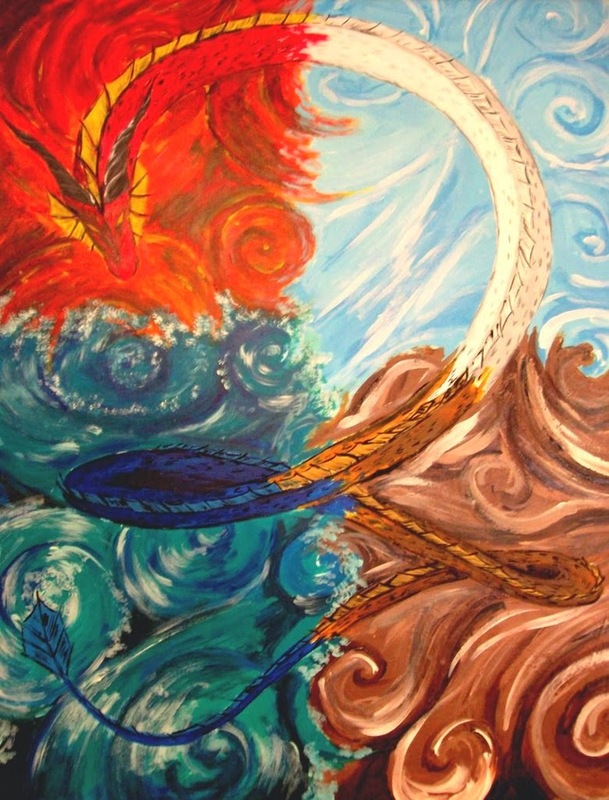 The Conjunct Sun and Moon at 10 degrees Pisces makes a perfect Trine to Jupiter in Cancer, a Triple-Water Ripple Effect that opens the gates of compassion, understanding and empathy within us. Make a list of everyone you need to forgive - then put your own name at the top of it. Forgive yourself first and the rest will follow. 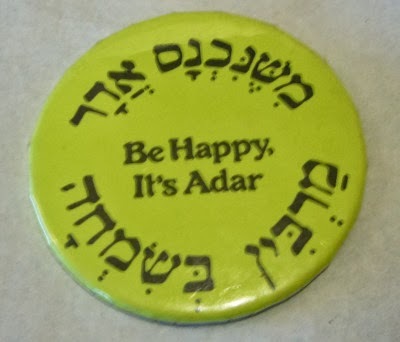 Chodesh Tov Tov!!! Mercury Retrograde FINALLY ends today, Baruch HaShem, although it won't have left the shadow of its Retrograde motion until it finishes traveling forward through the shadow period, which ends March 20th. But of course there's never a dull moment in the celestial world, because there's never a dull moment in the terrestrial world. Mars in Libra turns Retrograde on March 1st, another turn on its interminably long journey backwards and forwards through Libra over an 8-month period of time. Mars will Retrograde from 27 Libra back to 9 Libra until May 21st. Mars was previously at 9 Libra around Christmas, specifically December 25th - 29th 2013. Basically what is happening is an energetic re-visiting of the ways in which we've expended our energy (Mars) between now and May 21st. We'll revisit the things that were important to us in late December and maybe have a second chance to do things differently. Mars in Libra asks: Where is your passion invested? Did you put your energy where your heart is, or did you put it where someone else told you to put it? Are you using your koach, your Chi, your sacred energy to please others or to be true to yourself? You need to answer all these questions, or the Universe will answer them for you. 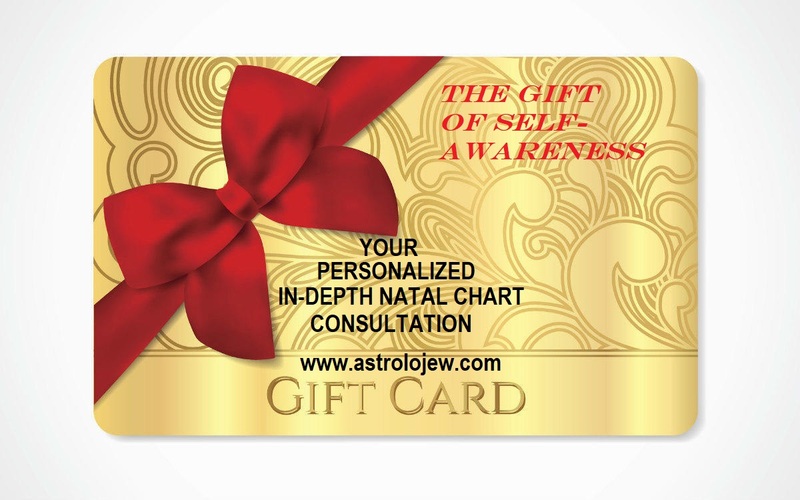 Contact Astrolojew for a personalized Natal Chart counseling consultation, in person or by Skype. Superbowl 2014 - Stoner Bowl, Battle of the Dragons! I can't resist taking a peek at tomorrow's Superbowl through the lens of mundane Astrology. After all, it's been dubbed "The Stoner Bowl" and many a joke has been made over the fact that Washington and Colorado, the two States to legalize Marijuana are going head to head (or shall we say, hit to hit?) for the greatest prize in American sports - the 48th Superbowl. Just off the top of my head, taking a look at the symbols of the teams - the Seattle Seahawks and the Denver Broncos - I would have to call Seattle for obvious reasons (Seattle / Wet / Sea / Hawks / Aquarius / Adar Aleph / Pisces / Water - at least that SHOULD be obvious). The Broncos are a "dry" team and would have a better chance of winning if the Superbowl was being played in Arizona or if Rosh Chodesh Adar Aleph hadn't come in right before the Superbowl (making it even WETTER, given that the Sun is still in Aquarius, the Water Bearer). But ... is it really that simple? Looking at the Natal Charts of both Russell Wilson, the Quarterback for the Seattle Seahawks, and Peyton Manning, the Quarterback for the Denver Broncos, I'm struck at how alike in ambition, talent, leadership and drive these two star athletes are - even though Manning is old enough to be Wilson's father (and that age gap might make a difference tomorrow, in surprising ways). Russell Wilson and Peyton Manning are both Fire Signs - in fact, in Chinese Astrology, they're both DRAGONS. 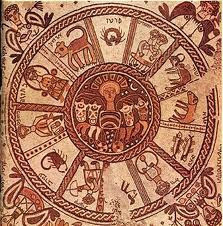 Manning, the Aries, is a Fire Dragon, and Wilson, the Sagittarius, is an Earth Dragon. The Seahawk's Russell Wilson is a Sagittarius with his Moon in Leo and Mars, Planet of Aggression, Energy and "koach" is in Aries. The triple play of all three Fire Signs, perfectly configured to give him visionary prowess (Sagittarius), pride and leadership (Leo) and courage and fearlessness (Aries) right where it counts. The Bronco's Peyton Manning has a brave Aries Sun, with his Moon in ambitious, practical Capricorn and Mars in persistent Cancer. His Mercury and Venus are both in Pisces, giving him an uncanny ability to "dance" and Jupiter at 29 Degrees (the "Critical Degree") of Aries gives him UNBELIEVABLE luck, the luck of a baby being born in the right place at the right time. Tomorrow's Superbowl will be played at the MetLife Stadium in East Rutherford, New Jersey, starting at 6:30pm Eastern Time. The Moon will be Void of Course in Pisces, not good for either player, unless the game goes past 11:30pm Eastern Time, in which case the Moon will finally enter Aries, favoring Manning. The game itself, although called for 6:30pm Eastern Time (that would be 29 Degrees of Leo) will actually begin somewhat later (after all the ads, intros and accolades) during the time when Virgo is rising. Virgo is ruled by Mercury, the Planet of Communication and speed. Mercury will be in Pisces, and that will certainly favor Manning, whose Natal Mercury and Venus are both in Pisces. It's also more favorable for Manning's Mars in Cancer (a nice Trine) but Manning's Mars in Cancer is also in a little trouble. At 2 Degrees Cancer, it's Conjunct the current position of an embarrassing little asteroid called Hades in the 11th House of the Game (see chart). The 11th House is the House that rules "Groups" - including of course TEAMS. Manning's Natal Mars Conjunct Transiting Hades in Cancer in the 11th House could be a recipe for breaking Grandma's heart in public - some kind of let-down of the dynastic kind, a family heritage flavored disappointment, akin to wetting one's pants at the Thanksgiving table. OR, the nagging thought that he might be letting down the "family" (the team and all the fans) will drive him all the harder. Transiting Chiron ("The Wounded Healer") at 11 Pisces is Conjunct Manning's Natal Venus in his 7th House (House of Marriage and Equal Partnerships). It's possible to say that even though Peyton Manning is considerably older than Russell Wilson, he's like a Jedi Knight compared to a young initiate, who lacks nothing when it comes to courage but can't hold a candle to experience. Manning will be practically psychic tomorrow, able to communicate with his team-mates almost telepathically, and most of the work he'll be doing will be in his head, while Russell Wilson will be far more passionate, more emotional and possibly extremely surprising. Wilson's Natal 29 Degree Sagittarius Uranus gives him the EXTREME WILDCARD aspect, and as it lies on the 4th/5th House Cusp of the Game Chart, you can expect the unexpected, the creative, the fiery - and possibly the fireworks! Russel Wilson's Natal Mercury/Mars Trine (Sagittarius/Aries), his intensely competitive and deeply possessive Venus in Scorpio and of course the "Wildcard" Uranus at 29 Sagittarius with his Sag Sun/Leo Moon make him "Mr. Fire" on the field - but careful "Mr. Fire" not to burn out, or flare up. Manning could easily bait Wilson psychologically, and Wilson's Jupiter (Planet of "Luck" at Zero Gemini in the Game Chart's 10th House (HOW IT LOOKS IN PUBLIC) makes me wonder if the words "bad timing" or "poor luck" or "just one of those things" might not be used Moetzi Superbowl, when everyone has the luxury of looking into a rear-view mirror. So - what's going to happen? I don't know, I don't even follow sports! I've never seen either of these teams play and have read nothing about it. But if I had to bet I'd bet that Peyton Manning is the sentimental favorite, with both "luck" and experience on his side, and that Russell Wilson is the fiery young superhero come to teach the old dog some new tricks. I think we've seen that movie before, right? My prediction - a close game, Seattle will lead but the Broncos will end up winning. If I'm wrong - I guess you could sue me, but on the other hand, if you're foolish enough to actually spend money betting on the Superbowl based on someone's astrological predictions, you must have a real Jupiter/Neptune affliction in your chart! Oh - and don't forget about the Chinese Astrology aspect - Earth extinguishes Fire. Wilson is an Earth Dragon, and Manning is a Fire Dragon. Additionally, it was just the Chinese Year of the (Wood) Horse at the New Moon last week, and Chinese Astrologers say that Fire Dragons like Manning must be VERY careful this year, while Earth Dragons like Wilson can expect to have a pretty good year. So by Chinese astrology, bet on the Seahawks. To Summarize - by Symbolism (Seahawk / Bronco) and by Chinese Astrology - Seahawks win. By Mundane Astrology - Close call, but betting for Broncos.